The Becoming HIP mini conference will provide select full-time faculty and lecturers with an opportunity to integrate high-impact practices (HIPs) into one of their fall courses. If selected, participants will receive $500 for completing a two-day mini-conference on June 1-2 from 8:30-3:30 p.m. Participants will also receive an additional $250 for a follow-up activity at the end of the fall 2017 semester. To learn more about the Becoming HIP, click here.  The office of the scholarship of teaching and learning (SoTL) is dedicated to learning about student learning at SUNY Buffalo State. We hope to promote effective student learning by carefully exploring and systematically documenting the efficacy of various teaching practices, learning environments, and institutional policies. For further information, contact John Draeger (SoTL Director) at draegejd@buffalostate.edu.